A former coaching Inn facing the river Nith and next to the Tourist Information Centre on the Whitesands. Dogs always welcome. Great music, open fire and stone floors. 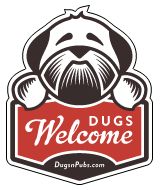 There are a total of 12 dog friendly listings in the Dumfries category. Please log in, or sign up as a member to view all listings.